Hollywood stars, collaborators react to her sudden death. 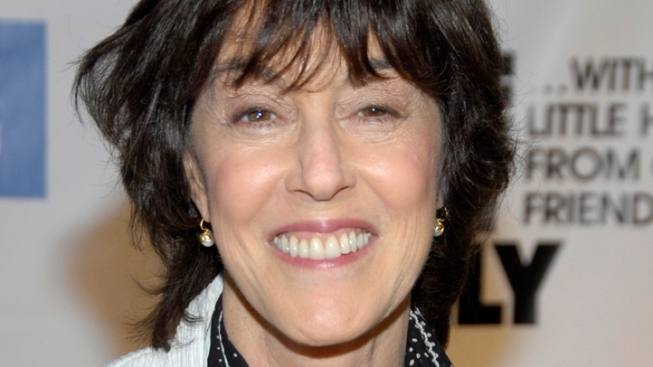 Author and filmmaker Nora Ephron died Tuesday of leukemia. Nora Ephron, who passed away Tuesday at the age of 71, was a veritable Renaissance Woman: a prolific journalist, screenwriter, director, producer, novelist, playwright, and blogger. When Ephron's death was confirmed by major news outlets, tributes came in from all corners of the arts and entertainment industry, from Tinseltown to the Big Apple—a testament to the wide and lasting influence Ephron had on American popular culture. Ephron's many collaborators remembered her as a sharp, lively colleague and friend. Meryl Streep ("Silkwood," "Heartburn," "Julie & Julia"): "Nora was a person whose gifts of mind, amply displayed as a young person in her sharply observed journalistic pieces and in her personal wit, were, when I first met her, kind of scary: aimed and airy at the same time, an insouciant sharpness that could be intimidating, because you could never catch her 'trying', everything seemed effortless. But as I got to know her, I understood what drove her was her acute curiosity, and her desire to observe and find out stuff. It's what made her great as a journalist, and as a director, too... She thought fast, loved new ideas, processed swiftly, decided what was valuable and what was not with clarity. It's hard to credit how very smart she was, cause she was always deflectively feminine and funny, the sharpness of mind softened and smoothed by genuine charm." Tom Hanks ("Sleepless in Seattle," "You've Got Mail"): "Nora Ephron was a journalist/artist who knew what was important to know; how things really worked, what was worthwhile, who was fascinating and why. At a dinner table and on a film set she lifted us all with wisdom and wit mixed with love for us and love for life. Rita and I are so very sad to lose our friend who brought so much joy to all who were lucky enough to know her." Billy Crystal ("When Harry Met Sally..."): "I am very sad to learn of Nora's passing. She was a brilliant writer and humorist. Being her Harry to Meg's Sally will always have a special place in my heart. I was very lucky to get to say her words." Carrie Fisher ("This Is My Life," "When Harry Met Sally..."): "In a world where we're told that you can't have it all, Nora consistently proved that adage wrong. A writer, director, wife, mother, chef, wit--there didn't seem to be anything she couldn't do. And not just do it, but excel at it, revolutionize it, set the bar for every other screenwriter, novelist, director. She was inspiring, intimidating, and insightful. She was so, so alive. It makes no sense to me that she isn't anymore. My heart goes out to her family and the many others who treasured her." Arianna Huffington: "...Professionally, her legacy will be that of an exceptionally gifted and versatile artist who could do it all, and do it all incredibly well. Personally, she'll be cherished as a wife and mother, and a devoted, giving, treasured -- and irreplaceable -- friend. I know I have to accept that she's gone -- but I still can't believe it." Ephron was an editor-at-large for The Huffington Post. Huffington appeared on MSNBC's "Morning Joe" Wednesday and the show's panelists also paid tribute. Steve Martin (@SteveMartinToGo): "She was the one you wanted to read, to listen to, to be in the company of. Nora Ephron. Incomparable wit; delightful friend. Sadness reigns." Sarah Silverman(@SarahKSilverman): "I just heard about Nora Ephron. I'm so sad. A great & prolific writer, a warm & kind soul. Gone just like that." Albert Brooks (@AlbertBrooks): "R.I.P. Nora Ephron. A witty, charming, lovely person. New York City Mayor Michael Bloomberg (@MikeBloomberg): "Nora Ephron always loved a good New York story, and she could tell them like no one else. NYC will miss her very much." Nia Vardalos (@NiaVardalos): "Nora Ephron you helped all writer-girls know to just tell the truth." Jonah Hill (@JonahHill): "Nora Ephron's writing and directing is so remarkably honest, touching and funny. My heart goes out to her friends and family today." Zooey Deschanel(@ZooeyDeschanel): "I'm very sad about Nora Ephron, a hero for all funny ladies." 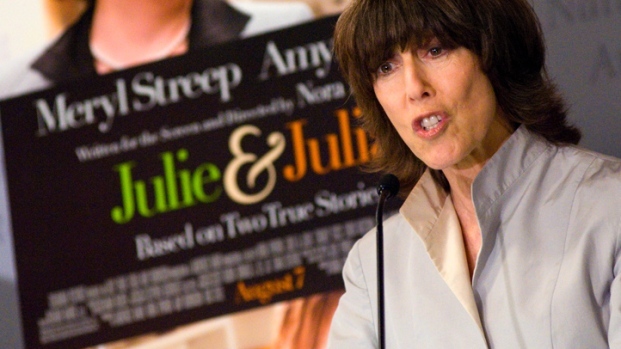 Nancy Pelosi(@NancyPelosi): "We will all miss the brillance & genius of Nora Ephron, a pioneer who challenged all women to break the rules. #Legend"
David Carr (New York Times) via Facebook: "One of the first big deal people who I actually talked to after I moved to NYC. I told her I was having trouble figuring out the big, bad city. Paraphrase: 'Honey, it isn't that complicated. People want to be seen as smart, rich and pretty. Preferably all three.' She was so nice to me from get go. And she was like that with everybody. Menschy, funny, a gas to be around." Frank Bruni (New York Times) via Facebook: "What a wonderful, amazing, singular woman. What a huge, huge, huge loss. Nora, so very many of us love you. Thank you for all you gave us." Susan Orlean (The New Yorker, @SusanOrlean): "Very sad to hear about Nora Ephron. She was a marvelous spirit and writer with guts and humor." Tad Friend (The New Yorker, @TadFriend): "Is there anyone who gave more good advice to more youngsters than Nora Ephron? Her virtual age was about 28." Jake Tapper (ABC News, @JakeTapper): "Nora Ephron credited Billy Crystal with coming up with 'I'll have what she's having.' Classy and talented. RIP"